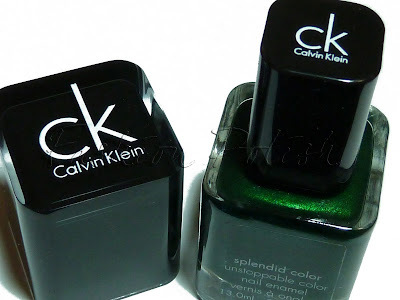 I never really paid much attention to the now discontinued Calvin Klein Cosmetic line; sometimes small nail polish collections are developed and among a few boring shades, there is a gem or two. That's exactly what happened with Emerald Green and Indigo Blue and thanks to Jeanette from The-Swatchaholic.com (You can see her original post here), I was able to purchase these two HTF (Hard To Find) on clearance for a ridiculous price on Ebay UK. Emerald Green, with its deep shimmer, applied nicely in 2 easy coats and to my extreme surprise the true metallic Indigo Blue turned out to be a one coater. Awww. I love this colours!! 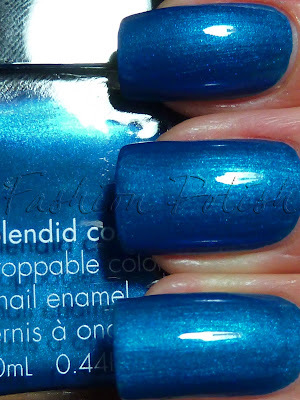 The frst one is better, but both are gorgeous. These look gorgeous! How random of CK to make polish though haha. 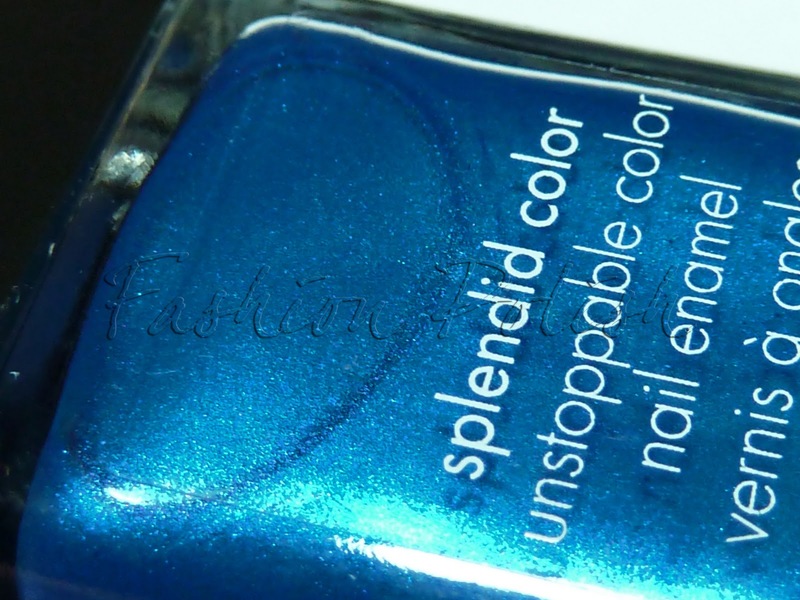 What can I say, you keep surprising us with beautiful polishes. 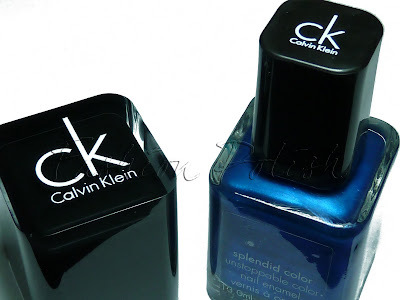 I'm sure to keep an eye out for CK cosmetics now. Thanks for sharing. je les ai ces 2 la mais pas encore porté ! 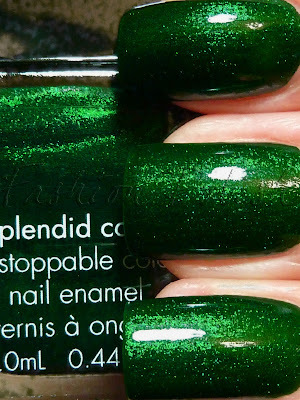 Those are nice, especially the green! awww!! the green one is just stunning!! Just orderd both! They look FAB. 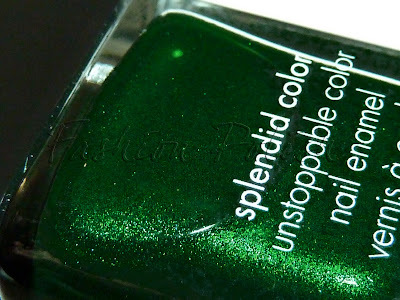 Wow, the green is just amazing! 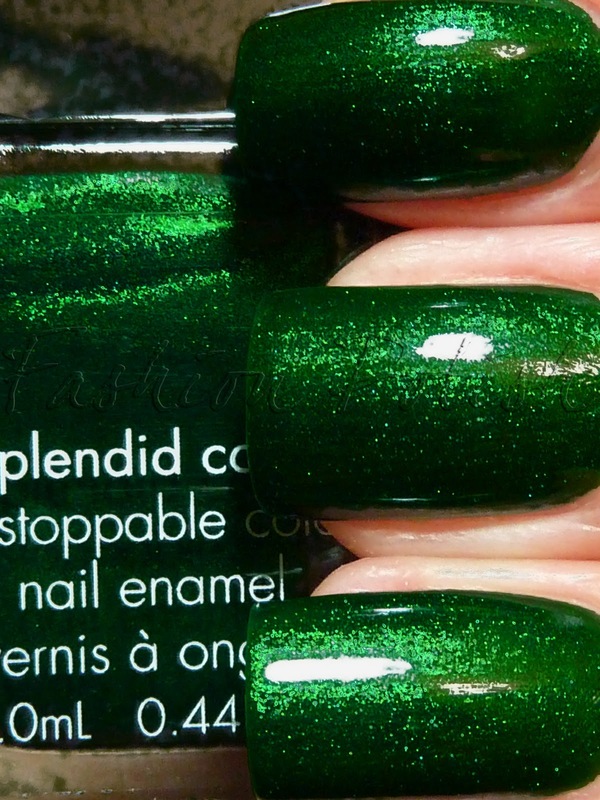 I just found those polishes yesterday and can't wait to try them, especially Emerald Green, it's mesmerizing!